Fishpipe NH Cool New Attraction! The Fishpipe is the world’s first Rotating Barrel Ride – a new and unique type of water ride where you slide further than the longest water-slide in the world! The FishPipe is now debuting in Hawaii! Up to 3 riders at a time enter into the Fishpipe barrel; we add 75 litres (20 gallons) of water and then spin the barrel at up to 45 revolutions per minute (although we can slow it right down for the kids and those with nervous dispositions.) The water makes it so slippery inside that riders don’t get spun around, but stay sliding in the water in the bottom of the barrel. Solo riders can try to run inside, slide, or even try surfing on their feet. With 2 or 3 riders inside they slip and slide together – frontwards, backwards, or sideways. The Fishpipe consists of a steel frame suspending an inflatable barrel. The Barrel is rotated in place at up to 45 rpm by an electric motor and some clever electronics. Our water system removes water from the barrel after each ride, cleans and filters it ready to pump in fresh water for the next ride. 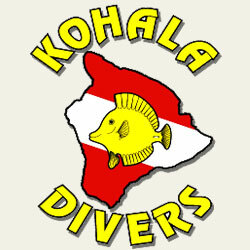 Aloha & Welcome to Kohala Divers, a PADI 5 STAR dive center on the sunny Kohala Coast! We have been servicing your underwater needs from the same location for over 25 years. We are located in the Kawaihae shopping center just 10-15 minutes north of many major resorts such as the Marriott Waikoloa, Hilton Waikoloa, Mauna Lani, Fairmont Orchid, Mauna Kea Resort and the Hapuna Prince Hotel. Kohala Divers is equipped with your entire Rental and Retail needs including SCUBA, snorkeling, kayaking, boogie boarding and more. We also stock a large selection of surf and beach wear. The Big Island of Hawaii is known for its crystal clear waters, its huge variety of fish and invertebrate life, an abundance of green sea turtles, white-tip reef sharks, manta and eagle rays, varieties of dolphins, whales and more. 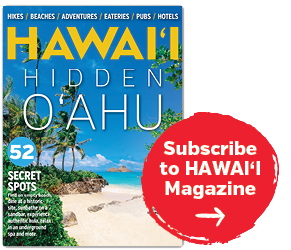 The Kohala Coast, located on the NW side of the Big Island of Hawaii, offers all this and more. Due to our location we are able to show you the variety that Hawaii has to offer in a truly crowd free manner! Our 20 dive sites range from Waikoloa, to Puako, to North Kohala, with few more than a half-hour ride from the harbor. The crew of Kohala Divers is very excited to share with you the intricate terrain, hidden lava tubes, and favorite critters. By swimming slowly and taking interest in both the big and the small we hope to give you a unique experience that will keep you coming back for more! We look forward to you joining us aboard Kohala Diver for a SCUBA, whale watch or Snorkel tour.